CE is an abbreviation symbol, a sign CE products that meet the provisions of the European product standards (Essential Requirements), CE certification is to prove that the product has passed the declaration of conformity the corresponing conformity assessment procedures or manufacturer, become the product is allowed to enter the European market sales permit. 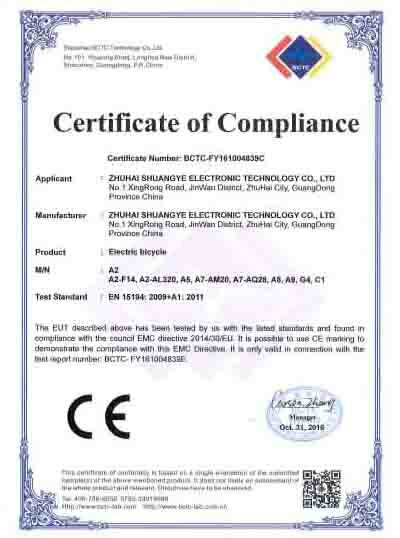 Our electric shuangye bikes certificated by CE, such as A2/A2-F14/A2-AL320/A5/A7-AM20/A7-AQ28/A8/A9/G4/C1, it worthwhile to purchase them. Electric bikes with CE can bring you a more secure and reliable experience. 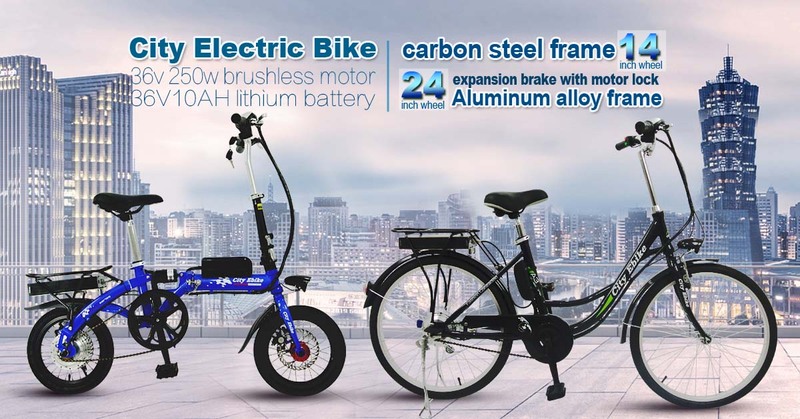 If you choose us, we can provide you with professional serive and the best shuangye electric bikes. And I believe that you must love our shuangye and believe our shuangye because the best quality and design is just for you, you will like riding with it all the time.